I'm delighted to share this creative journey with you! I have been a mixed media artist for over a decade and my passion and creativity have been born from history. Family traditions, cultural heritage, all of the stories told around the dinner table - these are the moments that families treasure the most! From that wellspring of inspiration and storytelling, the Moments In Time workshop was born! The techniques taught throughout this class will prepare you to capture all of your family’s special moments, preserving them for future generations. 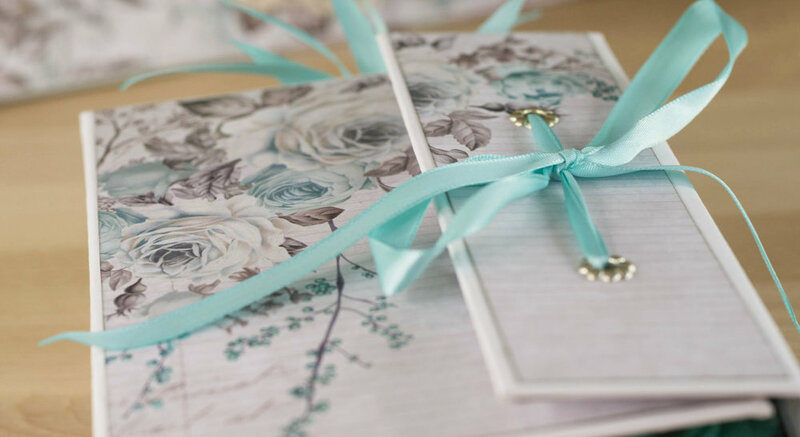 This is more than just a photo album; you will be creating treasured heirloom journals that bring memories to life, layered in creativity and emotion. Creating with wonderful mixed media supplies and tools elevates the preparation and design of every page - each one destined to hold precious memories. From the cover, pages, tags, and special memory box (which will house your precious journal) - all will be a culmination of your own creativity! I will guide you through many exciting techniques and you will learn how to perfectly capture and immortalize those special Moments in Time! I wish each of you happiness in this road down memory lane! In the first lesson we learn about the raw materials to build precious books to hold each memory we wish to share with our loved ones. You will learn the possibilities that are available to hold each memory, taking in the design of various journal structures. We embark on the building process, taking all of the pieces to assemble the structure of our journal, testing the limits of our rulers to form the shape of each memory. This is the shell to all of the beautiful memories that are held within. We will be studying the importance of using quality paper to construct the foundation of our pages, discovering the best practices to ensure that our stories can be told for years to come. These pages will be the basis for each memory held. We learn the basic principles of page design and tag creation, thinking about building pockets into our pages. I believe this is where the magic starts to unfold. We have reached the fun process of designing pages, tags, and hidden compartments as our imagination starts to explore the story telling possibilities. We explore different elements as we playfully dream up ways to beautifully design pages that tell our stories. Utilizing the inspiration of imagery, ribbon, beads, and our imagination. This is a lesson to have fun with, and let your imagination take you as far as you can go. Finally, you will learn the basics of building the box set, designing a stunning box to hold your precious keepsake, keeping it safe for future generations. For me, the box is an important element as it holds our cherished moments and artistry. In this lesson we will discover ways to design a stunning box to hold precious keepsakes, keeping them safe for generations to come. In this bonus video, I share my methods of capturing memories, how I like to find keepsakes to add to our boxes so it acts as a time capsule of the moments captured.